Establishing financial goals is the first step toward reaching your financial aspirations for your life. Without goals, no one would ever be able to set a path toward achievement. Of course, all financial goals will be deeply personal to you and your family. There are, however, a set of goals that we’ve organized here to offer some guidance of the sorts of goals you may want to be working toward once you’re in your thirties. By this age, you are likely earning a higher salary and able to put more toward your future. By this age, you are also very likely dealing with a few life changes and perhaps even one or two additions to your family. Securing your finances for today and tomorrow can suddenly become very important, seemingly overnight. Maxing out your retirement contributions is an important goal you should be striving for in your thirties. Ideally 15% of your income is going into retirement savings. Try to get out from any and all debts – credit cards, loans, everything. Living debt free means that you don’t owe anyone any money. With the exception of a mortgage, try to get out debt as soon as possible and then stay that way. This means that you spend what you have today, not what you will have tomorrow or think you can afford. Even if you use credit cards, operate like you’re on a cash system alone so that you only purchase what you can literally afford. Good credit is important so that you can borrow at a lower interest rate. You can use credit cards just fine and enjoy the perks of their rewards programs by paying off your balance every month. Having good credit will enable you to secure a mortgage at a lower interest rate, which can wind up saving you tens of thousands of dollars. Life is full of change and uncertainty. You need to have an emergency fund and it should be able to cover your fixed expenses for at least six months. No ifs, ands or buts about it. Direct your money to what is most important to you. There is no reason to spend money in ways that doesn’t help you reach your financial goals or bring you joy. Sure, we all have expenses we can’t avoid, but try as best you can to put the rest where you want it to go. It’s good to have a system to organize your money so that you can easily manage your finances. Bills, credit cards, checking accounts, savings accounts: consider linking them so you can access everything in one place. Rather than charging a purchase, especially a large one, and thinking about it later, plan for a large purchase, save for it, and then purchase it when you can pay it off in full. Are you paying too much in taxes? Find out and stop overpaying in taxes if you are. There are tax incentives out there that you very likely qualify for. Consult with a CPA and your financial advisor to see ways you can minimize your tax exposure and keep more of your money. By getting out of debt and increasing your income and assets, your net worth will grow. Generosity is a great financial goal to have. When you have enough money that you are able to share it with causes and charities that you believe in and support, that is powerful. Don’t waste money on unnecessary expenses and fee. Double check your credit card statements and make sure you cancel any recurring charges that you no longer need. Even the small fees add up over time. At this point, work with your eye toward your future. Retirement isn’t as far off as it once was. Make financial decisions through a lens of financial stability and security. As you round your thirties, what will your career and income potential look like for the next twenty five years? If you are able to set a career path that maximizes your income potential and helps you reach your financial goals, as well as your career aspirations – all the better! A financial plan can help you in all of these areas of your life and can work with you to establish specific financial goals for you and your family. Start making your financial dreams come true. Aaron Hatch, CFP® is the Co-Founder and CEO of Woven Capital, a fee-only financial planning and investment management firm that serves clients nationwide. Based in the far Northern California city of Redding, Woven Capital specializes in helping small business owners, entrepreneurs and physicians navigate their biggest financial hurdles to make smarter decisions with their money. Aaron and I became friends after meeting at a financial planning conference geared toward Gen X & Gen Y advisors and I asked him to write some thoughts as a guest topic for this site. What does financial planning actually entail? The question is more complex than it seems. How you define financial planning may have a lot to do with what you want out of it. In fact, there are as many outcomes from financial planning as there are financial profiles. Consisting of a full spectrum of financial tools and expertise, it's an approach to personal finance that you can hardly do without. Think of it this way: in the same way your life needs a plan, so does your financial life. It's how you get where you want to be. If you feel as if you're drifting and simply working to pay the bills, financial planning might help you aim higher and set some goals so you get more out of your money. Whether you make a little or a lot, you can benefit from financial planning. Likewise, whether you take a DIY approach or you call in a professional to give you additional expertise, the simple act of taking a "big-picture" view of your finances is going to help immensely. Everyone can benefit because everyone has goals, whether they realize it or not. Maybe you want to save for retirement, or maybe you need to whittle down your credit card debt. Want to buy a home? Maybe you simply want to build up your cash reserves or perhaps figure out where all your money is going. Capturing all the financial information in your life in a snapshot is the first step towards achieving those goals. Only by seeing everything can you or your financial advisor begin to map out a plan. But taking a step back and viewing your financial life from a larger perspective is only the beginning. Below, you'll see what types of activities and outcomes you can expect when you hire a financial planner to help you out. An appointment with a financial planner begins with a consultation, but what comes out of that initial meeting is by no means conclusive. In other words, you won't walk away with a set plan for life. You will, however, come away with a deeper understanding of where you lie with your finances. Are you saving enough? Can you realistically expect to buy a new car this year? Should you buy life insurance? Through sessions with a financial planner you'll learn that budgeting, goal-setting, and money management are all part of the blueprint your advisor sets for you. You'll soon have a workable blueprint for how to manage your money towards your end goals. Then, after time has passed, it will be time to take an assessment on how well you're doing in following the plan your advisor has set out for you. According to how well you're doing on those plans, and what sort of life changes you've experienced in the meantime, adjustments can be made. In this way, financial planning is a process, not a one-time consultation. The beauty of financial planning is that it's fluid, changing to keep up with the natural chaos that life brings and the financial milestones you encounter along the way. New phases in life may call for new goals or new strategies. Finally, financial planning is to help you reach your goals in life. They aren't always monetary goals, either. State your goals, and the financial planning process works itself around serving those goals. Whether it's going back to school, spending more time with your family, retiring comfortably or growing your wealth, financial planning helps you get there. Chris Hardy, CFP®, EA, ChFC®, CLU®, NTPI Fellow® is the Director of Planning and Investments at Paramount Investment Advisors, Inc., a fee-only wealth management firm located in the metro Atlanta suburb of Suwanee, Georgia. Chris specializes in providing clarity to his client’s financial vision through comprehensive and strategic wealth planning. Chris and I became friends after meeting at an industry conference and I asked him to write a guest article for this site. Life insurance costs vary for myriad reasons. First, all insurance companies use an analysis of mortality statistics to determine the level of risk they will incur when insuring customers. Beyond that, there are numerous factors pertaining to us as individuals that act as the variables in the formula to set our premiums. Let’s break it down and examine how premiums are determined for the two main types of insurance, term and whole life. The length of the term you choose for a term policy will impact the cost of the insurance. The longer the term, the more expensive the premium. The insurance company may be more likely to pay a death benefit if you chooses a term that will last until you are older. Thus, they charge more to cover costs. Your age at the start of any policy helps determine premium cost. The younger you are, the cheaper the premium. Smoker vs. non-smoker is a huge factor when insurance companies set their prices. For obvious reasons, a smoker will always pay a higher premium. Whether or not you opt to have a medical exam effects policy costs. If you allow the insurance company to review the findings of a medical exam and you are healthy, congratulations! Your premiums will be lower. Unfortunately, the opposite is true if you are not as healthy. Negative findings equal higher costs. Gender plays a role in the formula. Female rates are always lower the male rates. The state of your health makes a difference when determining costs. If you are currently battling cancer, an insurance company will charge you much more. Maybe you battle chronic pain due to disc issues in your spine. You may be charged more as well. It doesn’t always have to be a debilitating disease that ups your premiums. Your medical history is also a contributing factor. If high blood pressure runs in your family, and three people in your genetic line have suffered strokes, you are more likely to have increased premiums. Your job or career can have a direct impact too. If you are a pilot or a roofer an insurance company may see you as a greater risk. Lifestyle and recreation play a part as well. Someone who races motorcycles every weekend is a greater risk than someone who spends their free time working in a backyard vegetable garden. The size of the death benefit you choose directly effects the cost of your premiums as well. Now you know how an insurance company is analyzing you to determine premium costs. Take some time to be introspective. You can begin to decide how to ensure that the life insurance you choose will meet your financial goals and your family’s needs. And if you ever have any questions, know that a financial advisor can help you think through and consider your life insurance options. Corey Purkat, CFP®, AIF® is the Founder & CEO of Northwoods Fiduciary Advisors, a ee-only RIA hat specializes in working with small business 401(k) plans and is located in St. Paul, Minnesota. Corey and I became friends after connecting through the XY Planning Network, and I asked him to write some thoughts as a guest topic for this site. Saving money for when you retire is pretty much essential for a comfortable lifestyle during your Golden Years. It's no longer wise to rely 100% on Social Security (was it ever? ), so the sooner you get to know the different types of retirement accounts, the better. Here's your mini-guide to the different types of retirement plans. 1.Defined Benefit Plans. These are the real dinosaurs- where you work for a company, then receive a pre-determined amount of pension money each month. That amount is based on your salary history and how long you worked at the company. That defined benefit was pretty much guaranteed- in other words, wonderfully reliable and secure. 2.Defined Contribution Plan. Now, if there's an employer-sponsored benefit plan, it's most likely this type. The contributions are defined: the worker puts in a pre-determined amount from each paycheck. What he or she gets out of that during retirement is anybody's guess, and totally up to the market. In other words, this type of plan offers no guaranteed returns. If you're not lucky enough to have an employer-sponsored retirement plan (very few people are these days), then you'll probably want to set up some type of individual retirement account, or IRA. The Roth IRA is an investment account where you contribute after-tax money (up to a certain limit) and your withdrawals during retirement are tax-free. The limits are at present $5,500 per individual per year. If you are over 50 you may contribute $1000 more, in what's called "catch-up" contributions. The Traditional IRA is the mirror image of the Roth IRA. Your contributions are tax deductible (pre-tax contributions, in other words), but your withdrawals will be taxed. The philosophy here is that you will save money on your tax bill because during retirement you will presumably be in a lower tax bracket so your tax rate will be lower. Each person is different, so think carefully about your own situation before choosing between an Roth and a Traditional IRA. A financial advisor can help you with that discussion if you need some guidance or more information. The 401(k) is the next-best thing if your company doesn't offer a pension program. The reason for this is because of "matching contributions". First, the 401(k) is a good idea because it's a good way to save for retirement. Secondly, the matching contributions are essentially "free money" from your employer. You set up an automatic contribution schedule with your employer (usually through Human Resources). That keeps you saving regularly. Another benefit is that those contributions aren't taxed until you withdraw the money during retirement. Sign up for matching contributions for a third benefit, and you're really saving putting a multiplier effect on your savings efforts. Many employers will match your contributions up to a limit, and usually around 50% of what you put in. The Thrift Savings Plan has traditionally been for federal workers only, but some politicians want to open the system up to more workers. It's like any other investment retirement plan, only the management fees are much lower. They're lower because of the limited choices in how to invest your money. A Simplified Employee Pension Plan is a Traditional IRA (see above) that's set up by an employer for an employee. The employer may make the contributions and so may the employee. See anything you like? Get to know these retirement vehicles, because chances are someday one of them will be among your best friends. PJ Wallin is the founder of Atlas Financial, a fee-only financial planning, investment management, and tax services firm located in Richmond, Virginia. Atlas uses an all-inclusive approach provides a clear overview of your financial potential and gives you the comprehensive support necessary for peak success. PJ and I became friends after meeting at an industry conference, and I asked him to write some thoughts as a guest topic for this site. What are you risking when you choose to work with a robo advisor exclusively? Your personal finances are what you might expect: personal. And each of us comes from different money situations and has a different set of goals as it relates to personal finances. While one person may be focused on getting out of debt, the other person may be focused on saving up for a vacation or starting a 529 plan for their children’s education. The thing with robo advisors is that even though it is an investment tool, it can’t set financial goals for you or tell you how you can make necessary changes in your life to be able to reach your goals. A robo-advisor is an online wealth management service that provides automated, algorithm-based portfolio management advice without the use of human financial planners. So, if you put all your money into a robo-advised investing account, you will miss out on some pretty serious financial advice that would otherwise help to inform an appropriate investment strategy for you. With a robo advisor, you will also miss out on having important money conversations around your goals and what you’re trying to accomplish – something that should very much be at the center of your investment decisions. The strength of robo advisors lies in the automation of a single part of your overall financial plan. Whereas the strength of a financial advisor lies in the personalization and proper implementation of a financial strategy that is uniquely designed to serve your financial best interest. Without a financial advisor, it’s on you to make the appropriate financial decisions and actions to reach your financial goals. Remember, a robo advisor can’t tell you the best way you should invest. It offers recommendations based only on the inputs you provide, regardless of your goals. Money is a means to help you achieve what you seek to achieve and to get where you want to go in life. But if all you do is work, spend, and invest the rest with a robo-advisor, you may not be fulfilling your goals as effectively as you could. That's where financial planning comes in with a trained and experienced financial advisor. A good plan will take into account your earning potential, your education, your goals, your personal situation, your family, and your future. A financial advisor can take whatever your dreams are turn them into financial goals, complete with a plan to get there. Don’t risk your future with tools. Leverage tools and the expertise of a financial advisor to help you achieve all that you want from your financial life. Charles Donalies is the founder of Donalies Financial Planning, a fee-only financial planning firm located in Washington, D.C.
Charles and I became friends after meeting at an industry conference, and I asked him to write some thoughts as a guest topic for this site. How Do You Know Your Financial Advisor Isn't Taking Too Many Risks With Your Money? People pay their financial advisors to manage their money, write up blueprints for their financial plans, and generally dole out wise advice to help them achieve their goals. What they don't want is for them to take risks they're not comfortable with. Not everyone has the deep fascination with finance that drives most financial professionals to choose their careers. The finer complexities of the financial world are above and beyond what most people have time to master, and the intricacies of investing for the long haul amidst a changing market are well beyond what most of people's stress levels can handle. But that's why people pay financial advisors to help them. They rely on financial advisors of all types - financial planners, investment advisors, money managers, retirement specialists and more - to advise them and guide them to make the right decisions. Or, they simply trust the advisors to handle everything ... even the decisions. For people who rely on a professional to invest their money for them, risk is a huge concern. What About Investments That Are Too Risky For Your Liking? You may love the feeling of leaving everything up to your financial advisor, but what if he or she is investing in products most people (including yourself) would find incredibly risky? You could ask, of course, but "risky" is a relative term. Anyone could argue that any investment is relatively safe, if they compared it to the most obviously risky investment on earth. Or anyone could argue that "all investments are risky, silly!" But there is actually a standard of risk that's deemed acceptable, and only a fiduciary will stay within the bounds of that standard. A fiduciary, who by definition has taken an oath to put your own interests above her own, is obligated to tell you about any unusual risk involved in your financial plan, investments, or strategies. Financial advisors who are also fiduciaries are bound to serve your best interests. And warning you about unusual risk definitely falls into that category. "Registered Investment Advisors" (RIA) are fiduciaries who are bound by The Investment Advisers Act of 1940. This stipulates not only that they must act in your best financial interests, but that they must also be totally transparent about the amount of risk they're taking with your money. Any RIA who manages more than $25 million for their total number of clients must register with the Securities Exchange Commission (SEC) (hence the term "registered" in their professional titles). They are also required to file paperwork with the SEC regarding their investment choices for their clients. This includes information on unusual risk. So, if the amount of risk in your portfolio has you up at night with worry, you might want to switch over to a financial professional who holds to the fiduciary standard. And keep in mind, an RIA is registered with the SEC and must make disclosures about just the thing that keeps you up at night: unusual risk. If you're now considering searching for a new financial advisor, these are the facts that could help you make the right choice. Christopher Girbés-Pierce CFP® is the Founder of Enlightened Wealth Management, a fee-only wealth management firm located in Santa Monica, CA. EWM specializes in providing comprehensive financial life planning services for clients who wish to align their financial resources with their goals and values. Christopher and I became friends after meeting at an industry conference, and I asked him to write some thoughts as a guest topic for this site. There was a large security breach at Equifax, one of the 3 major US credit bureaus. The Social Security numbers, dates of birth, and addresses of up to 143 million people were been breached between May and July 2017. For perspective, that would be roughly 44% of the US population. A smaller number of people also had their credit card numbers, driver’s license numbers, and/or dispute records (from correcting mistakes on the credit report) accessed as well. You may not have been but it seems like the safest course at this point is to assume that you were. And if you later find out that you weren’t then that will just be a pleasant surprise. You can go to https://www.equifaxsecurity2017.com/ and check using your last name and the last 6 digits of your SSN. 1. It will say nothing stronger than that you “may” have been affected, so it’s whether or not you were affected will remain somewhat unclear. Also, I assume that the site will tell some people clearly that they were not affected, but I haven’t actually found any direct confirmation of that yet. 3. There are conflicting reports suggesting that the terms and conditions of that service forces you to agree to arbitration and could possibly prevent you from participating in and ultimately being compensated by the inevitably soon-to-be-forthcoming class action lawsuit. It’s not clear either way at this time and I believe that we will have more clarity in a few days. Should I avoid taking the free year of Experian credit monitoring? It’s up to you, but I would wait at least for a few days till we know more. I will try to update this as we learn more. You can pull your free credit reports from http://www.annualcreditreport.com/ and review them for any unauthorized accounts. You can pull 1 free credit report from each of the major credit bureaus each year. The 3 major bureaus tend to mostly overlap, but sometimes one report will contain accounts that the others don’t. You could stagger them throughout the year (every 4 months) knowing that you might miss something for a few months or pull all of them at once for a complete picture right now but then have no more free access for a year. Option 2. Put a total freeze on your credit reports. This will cost you a small fee (typically $5 in MN, though it varies by state) each time you freeze or unfreeze at each of the bureaus. This prevents lender access to your credit report so you will need to unfreeze it each time you apply for anything where they may pull credit. IMPORTANT NOTE: You will need to keep the PIN # they give you or will not be able to “un-freeze” your credit info later on. Option 3. Put a fraud alert on your credit reports. This is less drastic than a freeze but it will only last 3 months. It will not prevent your credit reports from being accessed, it will just caution lenders to be careful about verifying your identity. This will be for only 3 months (Initial Fraud Alert). A 7 year (Extended Fraud Alert) exists but it is only available if you are already a victim of fraud/identity theft. Option 4. Review your bank and credit card statements for unusual activity. Option 5. You could sign up for a credit monitoring service. These monitor your accounts and send you an email when they notice new accounts or other changes. They really don’t prevent anything but they may help you find out about it sooner. There are free ones (they will email you offers for credit cards, etc. though) and paid ones. Most of the free ones only follow 1 credit bureau. Monitoring all 3 would be better but will can also cost form $180/year to more than $300. Experian is offering their 3-bureau monitoring service free for a year but you may start being billed automatically once your year is up and, as mentioned above, there is a mandatory arbitration agreement in the terms and conditions that you may want to wait for further clarity regarding. Please be aware that Wallethub is probably neither fully independent from their advertisers nor completely unbiased so take any reviews on that site with a grain of salt. In any event, this list could be a place to start if you want to look into some of the (many) options out there. What do you recommend for an average person? I’m torn between what is ideal in an abstract sense and what people will actually get done in the real world amongst other demands and priorities. If you have the time and energy, doing option 2, followed by options 1 and 4 would be ideal. If you don’t have that time and/or energy, I think doing option 3 is a good (free) start and/or option 5 is perhaps one of the easier things you can do, if potentially expensive. Ever wonder how a financial advisor is compensated? You’re not alone. Whether you currently have a financial advisor or are thinking about hiring one, asking how your financial advisor is compensated is an important conversation to have. You see, how a financial advisor is compensated can tell you a lot about whether or not he or she has your best interests in mind. Know if your financial advisor is held to a fiduciary standard. This means that under federal law, financial advisors who are sworn to a fiduciary standard must provide unbiased financial services to their clients. CERTIFIED FINANCIAL PLANNERTM professionals take this oath. Knowing whether or not your financial advisor is held to the fiduciary standard will immediately signal any potential conflicts of interest in the financial services your financial advisor recommends. This important question will not only help you better understand the value a financial advisor can offer, but it’s also a filter by which you can choose the right financial advisor that must care for your best interests. So, how are financial advisors compensated? A commission-based financial advisor is paid for the financial products he sells. This is a compensation model very plainly means that a financial advisor is only paid when they sell "commissionable" products to you. There is a conflict of interest and these financial professionals are typically not your more traditional financial advisor professionals. Commission-based advisors tend to be investment advisors who work for major broker firms. Fee-only financial advisors are independent of the major broker firms and, in theory, should provide you conflict-free advice because they are paid in fees, not commission. Fee-only advisors charge a flat hourly rate for services, a flat fee for a service – like financial planning, or tiered fees that adjust depending on how much assets you have him or her manage. This type of compensation means that a financial advisor will be able to provide more objective financial advice and look at all possible financial solutions that can meet your specific financial needs without being motivated or persuaded by compensation. Knowing how a financial advisor is compensated at least allows you to better understand what type of financial service you will receive and what may be influencing financial recommendations. Kenneth Klabunde, MS, CFP® is the principal at Precedent Asset Management, a fee-only wealth management firm located in Indianapolis, Indiana. Kenneth specializes in providing comprehensive planning and investment services for clients looking to build, manage and preserve their wealth. Kenneth and I became friends after meeting at a conference and I asked him to share some thoughts as a guest for this site. Marriage, a family, starting a business... these milestones in life might signal the need for a financial advisor, but turning points aren't the only signs you might need help. Sometimes it's the little events in life that add up, prompting the need to call in an expert who can assess your finances and help you make decisions. It can be hard to tell if you need help from a professional, but here are six important signs that you might benefit from the advice of a personal financial advisor. 1. You're not sure if you have enough for retirement. While this should be a concern all your working life, it's most often what pushes many people in their 50s to seek help from a financial advisor. Aside from knowing whether you have enough set aside, it's even hard to know how much you'll need to get by. When you're dealing with a short time frame for preparing to retire, it's nice to get help from a professional who may help you get there faster. 2. You're ready to start investing. Maybe you've been glued Bloomberg TV, or perhaps you've watched a friend get excited over her investments. Whatever the source of your inspiration, you're now motivated to invest. There's real estate, stocks, mutual funds, annuities, ETFs, and more. A financial advisor can look at your lifestyle, your income, your goals, and your tolerance for risk to help guide you towards investments that are right for you. 3. You have a big goal in mind. We all have goals, but reaching them sometimes requires a little professional advice. Not sure how you'll come up with the down-payment for a house? Not sure how much you can even afford, or should afford? Any sizable investment will have a huge impact on your finances plus your lifestyle. Make sure you're making wise choices with such long-term decisions. 4. You get a tax refund every year. Sure, it feels nice to get that fat check every April, but you're really not doing yourself a favor by letting Uncle Sam hold your hard-earned money for you, interest free. If this doesn't make sense to you, then you need a financial advisor... pronto. 5. You tied the knot. Bringing two lives together means all kinds of changes, not the least of which is what in the world to do with your finances. Should you combine accounts or stay separate? What happens to each spouse's debt? What's the most advantageous way to file your income taxes? 6. You started a new business. Without guidance of a professional, new business owners could get reamed when it comes to tax time. But that's not the only reason you'll want help: budgeting, capital sources, and allocation of your resources are important issues to weigh. Will Kaplan, CFP® is the principal at Halcyon Financial Planning, a fee-only wealth management firm located in Portland, Oregon. Halcyon specializes in a goals-based approach that combines your aspirations and resources with a forward focused, proactive style of planning. Will and I became friends after meeting at a conference and I asked him to write some thoughts as a guest topic for this site. Financial designations are confusing enough just looking at the laundry list of them that exist in the financial services today. Good thing we are only going to cover six of the most common financial designations you likely encounter on a day to day basis. As you are shopping around for your next financial professional, make a list of the level of expertise that is important to you. While many of the sources you can use to search for financial advisors don’t allow you to filter based on designation, you can at least know what to look for when you use sites like NAPFA and the CFP Board. CFP®. Certified Financial Planner. These financial advisors create financial plans and can help you manage just about every aspect of your financial life. They look at the big picture and help you plan for your financial life accordingly. CFA. Chartered Financial Analyst. Financial advisors with this designation do a lot of portfolio management and investment analysis. They are considered among the elite in the financial services industry and truly understand how investments work and how to structure them within client portfolios. ChFC. Chartered Financial Consultant. Like the CFP® designation, this one signifies advanced knowledge in financial planning. That means a broad range of knowledge: taxes, estate planning, investing, and insurance. CPA. Certified Public Accountant. Known for its rigorous exam, this profession deals mainly in taxes and accounting rather than financial planning, but that doesn't mean they don't know anything about other areas. They mainly stick to accounting and taxes, though. CFS. Chartered Fund Specialist. Need specific financial advice about mutual funds? Here's your specialist. Got questions about REITs or ETFs? This is your guy. CIMA. Certified Investment Management Analyst. Not for planning, but more for managing your investments, the CIMA is trained in due diligence, risk management, and asset allocation. At the end of the day, the most important thing is that you find a financial professional that you trust. Designations go a long way to confirm a financial professional’s authority and credibility in a particular area of finance, but it isn’t everything. If you visit the FINRA website, you can also look to see how much time and energy goes into a financial professional earning a certain designation. Not all letters are equal when it comes to the amount of effort it takes to earn. To become a CFA, for instance, takes as much time and (if not more) as earning a bachelor’s degree. While others only take a 10 hour course and passing one exam. 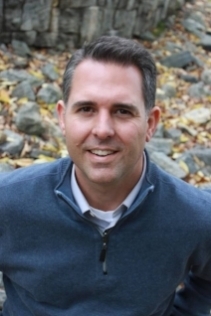 Scott Frank is the founder of Stone Steps Financial, a fee-only financial planning firm located in Encinitas, California. Scott started Stone Steps to help young professionals and families understand their financial lives and position themselves to reach their fullest potential. Scott and I became friends after meeting at a conference and I asked him to write some thoughts a guest topic for this site. There are many financial advisors to choose from, so how do you find the one that's right for you? Between the different types of financial advisors and financial disciplines to choose from, finding the right financial advisor for your specific needs is no easy task. Not to mention the interpersonal considerations of personality, experience, and client service that are just as important to factor into your decision making process. Don’t rush it. Remember that selecting a financial advisor is a long-term decision (or at least we hope it is) and so it’s important that you choose someone who you believe can deliver what you need. Here are a few things to look for when selecting a financial advisor. That he or she comes recommended. This is not a 100% guarantee that you will like the financial advisor or that he or she is best suited for you, but someone you know really enjoys working with them so you may be willing to give it a chance. Asking your network of friends, family and colleagues who they recommend for the financial services you are looking for is a great starting place. They have a positive online presence. What happens when you Google the name and firm of the financial advisor you are thinking of working with? Does anything come up? Are there complaints? Do they offer information you can look into to get a better sense of what they are like or how they work? In today’s connected world, it’s perfectly acceptable to do a little research on the person you are considering to have manage your money before you actually sign on the dotted line. You can also reference the Financial Planning Association to learn what credentials they have, their specialties, and whether they're paid by commission, fee, or both, although some don't offer a complete profile in the directory. The National Association of Personal Financial Advisors also maintains a directory, which is searchable by name or location. The advisors in this directory are all fee-only financial advisors, which do not earn commissions and who are bound to a fiduciary standard that requires that they put your financial needs above their own. They possess designations that align with your needs. It's important to look at the credentials your potential financial advisor has and make sure you understand what they mean. Certified Financial Planners (CFP) as an example have demonstrated competency in every single area of financial planning (there are over 100 subject areas they have to study!). They know about stocks, taxes, estate planning and many other facets of finance that allows them to draw from an impressive level of expertise to draw up your financial plan. It feels easy and comfortable. Credentials matter, but so does rapport. A 2013 survey revealed that how well the advisor-investor relationship goes is a huge factor for people working with financial professionals. Of course how well your plan is helping you reach your goals is the major determining factor, but the relationship matters, too. When communication is open and easy, your advisor won't have any problem telling you what you need to know, even though you may not want to hear it. They won't be afraid to tell you things like “you spend too much on eating out” or “you need to save more toward your retirement!”. Make sure you feel comfortable with your advisor, and he or she communicates with you in a way that works for your personality and your life. With the right credentials, the right experience and a winning style of communication, your financial advisor can help you achieve your goals. John Wenzel is the Co-founder of Archvest Wealth Advisors, a Fee-Only financial planning firm located in the East Bay of San Francisco. Their offices are in the city of Walnut Creek, California. At Archvest, John works with high net worth individuals, executives and small business owners focusing on their planning needs around insurance matters, tax strategies, estate planning and investment management. John and I became friends through the XY Planning Network and I asked him to write some thoughts as a guest for this site. A financial advisor does much more than just manage your money; she helps you manage life. The reason for this is because your money is so intimately tied to areas of your life that you value most. Money in and of itself may not be the most important thing to you, but the life, people, and dreams it can support is. Whether your life is going great at the moment or you’re in a bit of a slump, there is a certain level of care and accountability that a financial advisor can offer you that can lead to a better life. Whether you are an organized person or not, being financially organized makes everyone sleep a little better at night. A financial advisor will help you sort through your financial life – literally – no matter how chaotic it is and help you implement a system by which you and others in your family more easily and effectively operate. A financial advisor is your accountability partner. She holds you accountable to making smarter financial decisions, and your relationship holds her accountable to helping you reach your financial goals and managing your financial progress. Let’s face it, we all do a little better with a little push and accountability from someone else who is invested in our success. Unlike general jargon-drive financial information that clutters the internet, your financial advisor provides you relevant financial education as it pertains to you and your specific situation. With more financial knowledge comes better decision-making that ultimately helps you to avoid financial mistakes that could take you off course. The financial advisors who can help you automate your financial life deserve a gold star. If your financial life is set up in a way that it automatically is saving for retirement, saving for that vacation, paying fixed expenses, anticipating fluctuating costs like groceries, and even allotting monthly cash allowances for everyone in the family to spend on whatever they want…I’d say life already sounds better to me. This may not sound fun, but it certainly is necessary to help you achieve the proverbial peace of mind so many people want when it comes to their life, and especially their financial situation. From in-depth risk analysis for your investment portfolios to insurance reviews, a financial advisor makes sure that you don’t take on more risk than you can handle and that you are adequately covered when the unexpected happens. Your advisor can discuss your professional ambitions and empower you with information to negotiate a higher salary if you’re switching positions or companies. Knowing your value and then aligning your career aspirations with the life you want to live can be exactly what you need to have these courageous conversations with employers and potential employers. I’m reminded of that great Walt Disney quote, “If you can dream it, you can do it,” and think that financial advisors function on their client’s behalf in much the same spirit. Ultimately, a financial advisor allows you to see what’s possible when your wealth is strategically aligned with your values – and what’s possible may be much more soul-stirring than you would expect. At the end of the day, it’s a good financial advisor’s resolve to work tirelessly in your best interest throughout your life. A good financial advisor’s mission isn’t purely analytical. Rather, it’s to help you live a better life by using all the tools, skills and technology available. Tyler Landes is the founder of Tandem Financial Guidance, a fee-only financial planning firm in Kansas City, Missouri. Tyler and I became friends after meeting through the XY Planning Network and I asked him to write some thoughts on ways a financial planner can make your life better as a guest topic for this site. Interested in finding a trusted individual to help you with your finances? The first thing you'll want to do is cut through some basic jargon. Do you know the difference between a financial advisor and a financial planner? Did you know there are over 100 different certifications that financial advisors might have*? That's what the National Association of Personal Financial Advisors says, anyway. If you've spent any time at all looking into hiring one for yourself, you won't doubt that tiny fact for a moment. You've probably already seen quite a few yourself. If not, just type "financial advisor" into Bing and what comes back is a sea of acronyms... CFA, CPA, ChFC are a few of the common ones. But we're getting ahead of ourselves here. There's some basic jargon that's confusing, too, namely: the difference between a financial advisor and a financial planner. Tooling along through your own self-educating journey in personal finance, you may have noticed there are two phrases thrown around a lot. They're not interchangeable, even though at first glance it's hard to imagine how they could be different. Financial Advisor: This is the broad category of people who make a living helping people manage their money. It includes stock brokers, financial planners, insurance agents, and even bankers. Financial Planner: These individuals are also financial advisors. Their chief aim is to help people plan out their financial lives in order to meet long-term goals. They can have specialties and they can hold multiple designations. Still feeling a little cloudy on the difference? That's because both are very broad categories. Neither is an officially-designated term. One may be a "Certified Financial Planner" or a "Behavioral Financial Advisor", for example, but the phrases on their own mean very little. In short, anyone can call him or herself a financial advisor or a financial planner. You'll have to look for letters after their name to find out if they're officially qualified to call themselves anything. And that's where those 100+ financial designations come in! With your personal finances, you're always going to be better off if you put in a little effort with self-education. By figuring out how to cut expenses and budget your money, you're investing in lifelong skills that will see you through many of life's challenges. Even if you can't figure out everything yourself and you want to hire a financial advisor/planner, the more you know going in the better. Beyond being frugal and curbing your unnecessary spending, you'll eventually need to make bigger, more involved financial decisions about your assets. That's where the professionals can truly be of help. Weed out those who charge based on commission. They have several motivations, one of which is to earn a commission by selling you certain financial products. Fee only planners and advisors are not permitted to take any compensation outside of what their client pays them which reduces conflicts of interest. Look for a fiduciary oath. Financial professionals who are also fiduciaries are sworn by professional and ethical guidelines to put your best interest in mind when giving you advice. Set up some interviews. Your rapport is crucial to a good outcome with financial planning. Even if you aren't an expert on personal finance yourself, you can tell a lot from a face-to-face meeting. Anjali Jariwala is the founder of Financial Investment Tax Advisors, a fee-only financial planning firm serving clients across the United States. Young professionals who are ready to build wealth are often met with obstacles from the very industry that should be helping them. FIT Advisors is a trustworthy alternative to the status quo. We serve physicians and business owners in the wealth accumulation stage as their financial life coach. Anjali and I became friends after meeting at a conference I asked her to write some thoughts as a guest topic for this site.